We’ve combined the luxury of a swimming pool with the natural beauty of a lagoon- and created an outdoor space full of blissful relaxation and fun for the whole family! Take a dip in nature’s newest waterpark, where fun comes naturally! Opening Spring 2019. Dells Resorts owners, the Makowski family, broke ground this past October on Wisconsin Dells’ first Natural Lagoon located at American Resort & Treehouses. This one-of-a-kind water feature will be the first Natural Waterpark consisting of 250,000 gallons of naturally filtered water. 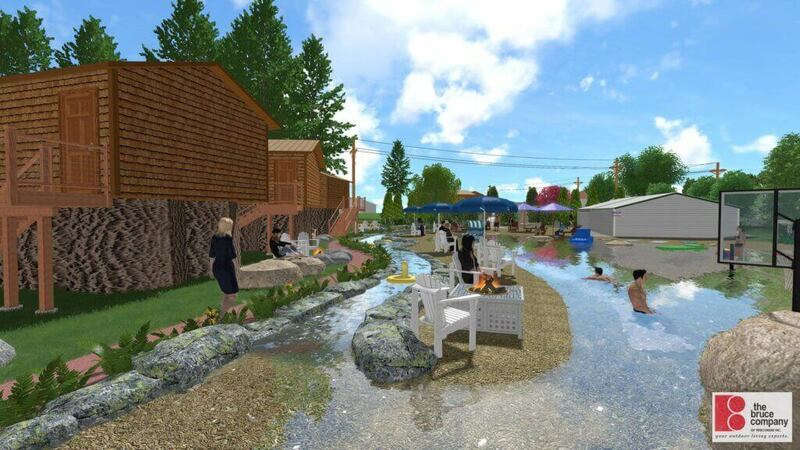 The lagoon will be natural as a lake and crystal clear like a pool but without harsh chemicals, using the self-cleansing principles of a wetland bog, plants instead of chemicals. A true natural retreat with water as nature intended. 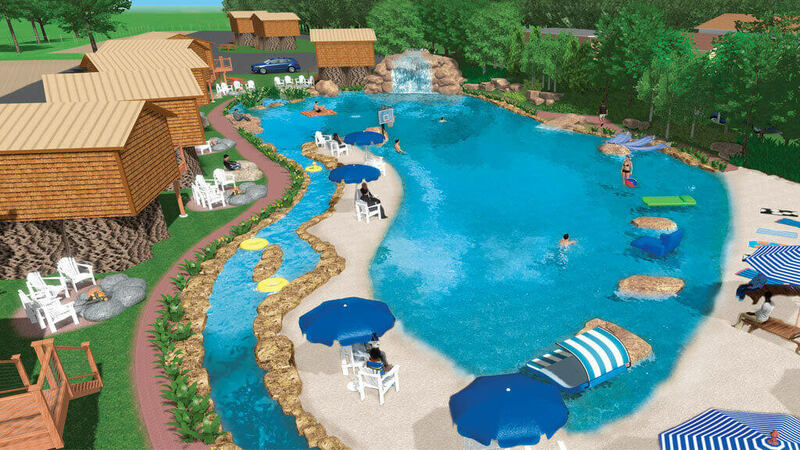 This Natural Waterpark will sprawl over an acre of land nestled in between American Resort’s one-of-a-kind Treehouses. 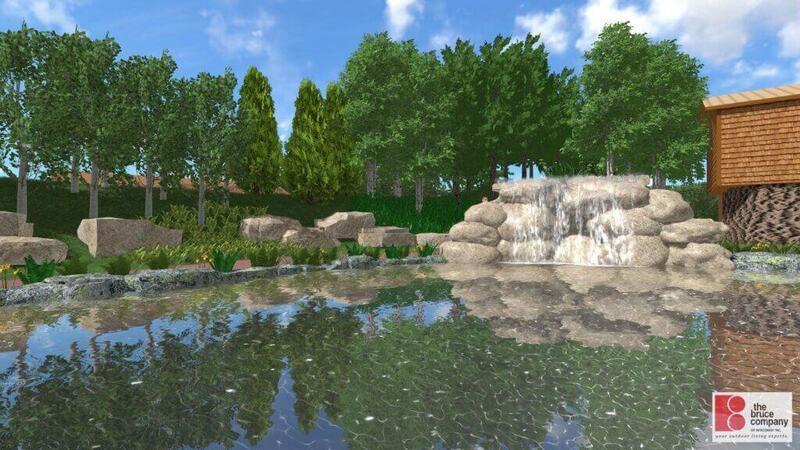 The 250,000 gallons of naturally filtered water will be contained by meticulously placed sandstone and limestone boulders quarried specifically for this lagoon from nearby quarries. The water will be filtered with an Aquascape’s wetland bog just as nature cleans water. The inspiration behind the lagoon is to work with nature, not against it. 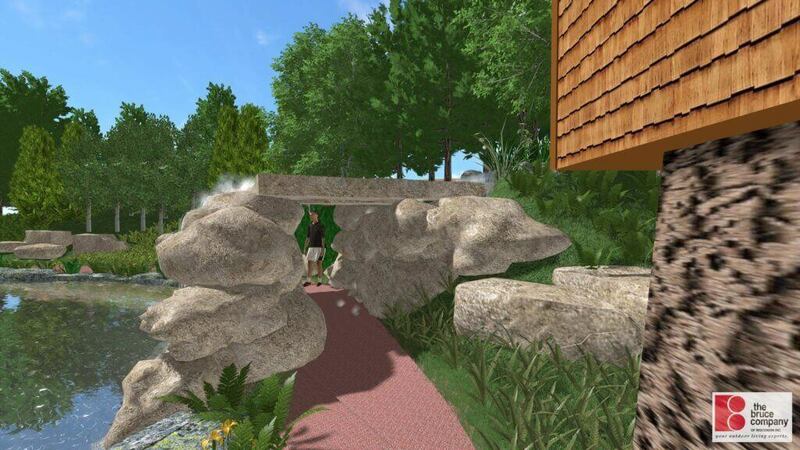 This natural paradise will also feature a 12-foot cascading waterfall, stone grotto, 100-foot lazy stream, a white sand beach, jumping rocks, shore play features, land art and many more naturally fun elements. The Natural Lagoon will be enjoyed every day of the year for activities like ice skating and paddle board yoga. In addition to the lagoon, an outdoor pavilion with outdoor grilling, fire pit lounges and backyard games will be added to the Resort. 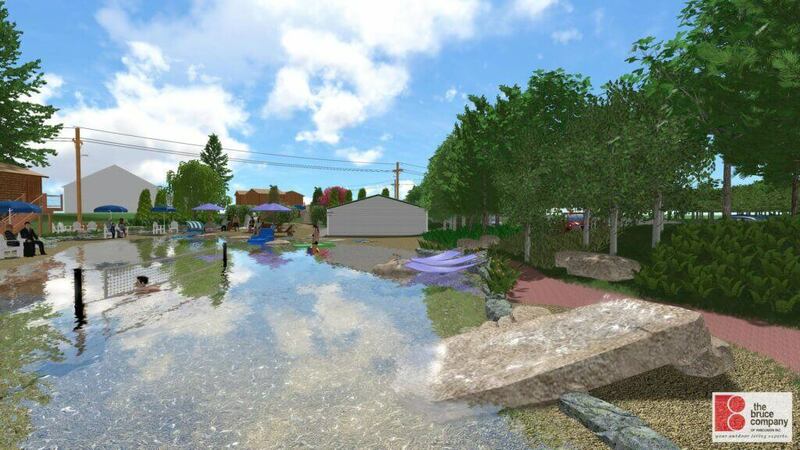 Impossible to be any more natural, this new natural lagoon will be this summer’s greatest new water feature to be showcased in Wisconsin Dells, the Waterpark Capital of the World. “Food, Travel and Hospitality have been the lifeblood of our family for almost 50 years and we have decided to take on a challenge to refocus on the natural essence of life. What does this mean? Look around and truly see the beauty and life around us, naturally relieving stress. How can we share that with our guests? We have started with this new natural lagoon incorporating natural water features to complement the natural beauty around us, providing access to wildlife, upgrading rooms with natural amenities and providing healthy, organic dining with farm to table options, these being the norm at any Dells Resorts property. Our focus at Dells Resorts will be “Where the Fun comes Naturally”.” said Adam Makowski, owning family member of Dells Resorts. All Dells Resorts Guests will have exclusive access to this Natural Lagoon. Stay at a Dells Resort “Where our Family Takes Care of Yours”.